Japan’s employment practices were long considered a cornerstone to its economic success. However, the reversal in economic performance during the 1990s altered the positive perception and inspired major adaptations like the rise in performance-related pay (‘seikashugi’) and non-regular employment. This book presents case-studies of the adaptations in personnel management by major Japanese firms. It highlights the diversity, the stability and the considerations behind the adaptations that are implemented by these firms. Drawing on insights from institutional theory, it shows how factors such as legitimacy and institutional interlock have guaranteed an important continuity in employment practices. It discusses how the adaptations have not actually replaced the existing practices but have been shaped by them and, as a consequence, the result may not be as revolutionary as once expected but is likely to last. Furthermore, it argues that the employment practices remain specifically Japanese and that expectations of convergence have so far proved misplaced. Overall, this book is a valuable contribution to the study of employment issues. 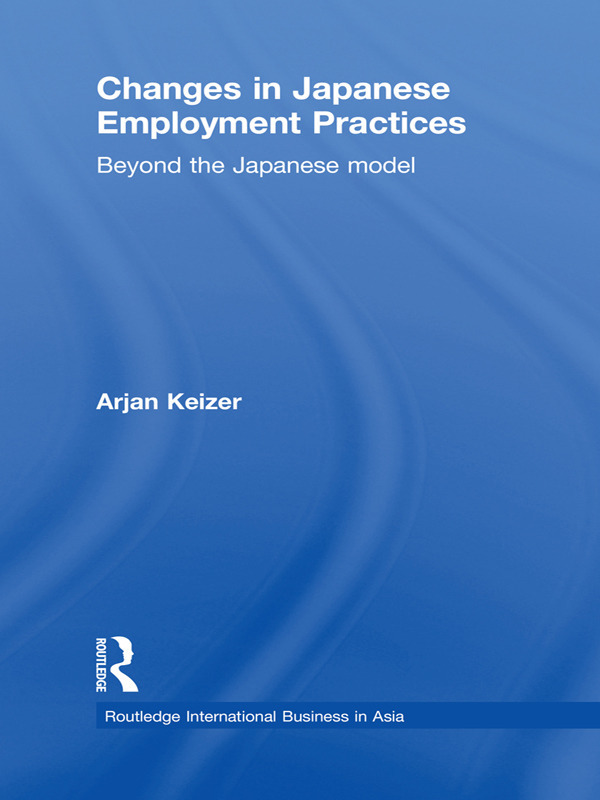 It provides an effective framework to analyse the ongoing developments in Japanese employment practices and demonstrates that Japanese developments continue to offer important insights for human resource management and labour market institutionalisation in general.